The first page of Search Engines such as Google, Yahoo and Bing are probably the most sought after virtual real-estate on the web. To take it into perspective, there are over 3.2 billion searches a day that happen on Google alone. Building a Solid Website Infrastructure takes you one step closer to doing better Search Engine Optimization. Not only that it also improves the user experience. On top of that – the Search Engines will always display search results based on what they determine would be the most relevant to their users. How does that help your business and why should it matter? Doing effective SEO not only gets you in front of your target audience in the most meaningful way possible – through a search query, but it can also help you build long-term brand trust, if the context of your web page that visitors land on be useful, helps searchers resolve an issue or answer a question, and can lead them to the right direction. Let’s begin by looking at what Search Engine Optimization is. Search engine optimization is the key to getting found on Search Engines using unpaid methods. In essence, through proper SEO, you will be able to get your potential audiences to come to your site without paying for advertising. Let’s say if you have a website about DIY (Do it yourself) Home Decor and you want to be found in the first page of Google search, then SEO is the science that you have to perform on your article/content, so that it shows up on the first page of google. To show up on the first page of google, we need to know how the search works. What does Search engine optimization consist of and how do I optimize my site for search engines? Is it made up of metadata, headings, keywords, links, images or text? The answer is that SEO is made up of all of the above and much more. Focuses on optimizing your content for search engines. Focuses on optimizing your content for users. The main focus is on quick results. The main focus is to gain long term credibility. This approach involves bending and breaking rules in order to force any content onto the audience without considering the quality of the content. This approach involves educating the audience with quality content and understanding the audience journey in becoming a lead. This approach is used to gain quick fame and earn a few thousand bucks. This approach involves strategizing, educating and problem solving, leading to a long term credible source. -High chances of getting your site banned from search engines. -Can lead to penalty of getting de-indexed as result of using unethical techniques. This technique will serve as a long-term investment on your website. Pick your side well, everything that goes around comes around. 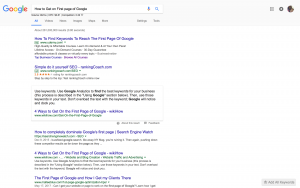 When it comes to building strong SEO for your website these three things are a must on top of creating useful content, there are no short cuts. a) Infrastructure of your site. Google’s search algorithm that affects your SEO consists of more than 200 factors. While not all of them have yet been verified and confirmed, take a look at a great list of Google’s Ranking factors compiled by Brian dean. HTML: HTML is the basic component of creating on page SEO. You do not have to be a professional coder by any means but you make sure you know the basics of HTML if you are going to do be using online marketing tools and techniques. Thanks to Udemy and w3schools, both are great online platforms and there are many more reliable sources as well. Let’s take a look at the tags you must always optimize when creating your content. Title tags and Header tags: Title tags can be used to describe what your page content is about, it the text that shows up on the tab of your browser when you open a new page. In case of content headers we use <h1> , <h2>, <h3> and so on. Every page must have only one <h1> tag. Meta tags are a great way for webmasters to provide search engines with information about their websites. These basic descriptions can be in the form of what kind of title to display when users are searching the web for content as well as a brief description of the page that is associated with the web page that users identify – prior to clicking through. If your site has identical or vastly similar content that’s accessible through multiple platforms – a canonical URL is needed to help identify them. It is mainly derived by using the tag “SameAs” – which can be decrypted using Google’s Structured Data Testing Tool. This format provides you with more control over the URLs that are returned in the search results. It also helps to make sure that properties such as link popularity are consolidated to your preferred version. Search engines have a different way of analyzing the content that is on a web page. Unlike humans who can easily interpret the words, images and other types of content that are described on a website, search engines use web crawlers to scan through your content. By adding additional tags to the HTML of your web pages — tags that tell search engines something in the likes of; “Hey search engine, this information describes this specific movie, place, person, or video.” Microdata is a set of tags that is introduced with HTML5 which allows you to do this. 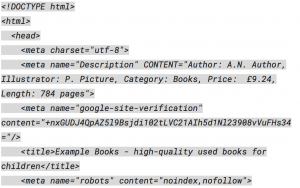 To generate your schema markup you can use Google’s Structured Data Markup Helper. By having a sitemap – your website is curating content and organizing the URLs so that the search engines can display them in their appropriate order. When users type in a search query, certain results will usually be displayed in a form of a drop down system – which provides them with additional URLs of that website. This is thanks to the sitemap. It also helps to make sure that properties such as link popularity are consolidated to your preferred version. A proper sitemap will help the Google’s spiders to crawl through your pages easily and help Google better understand the content of your site. You can use an online sitemap generator to do it or if you are using WordPress you can use a plugin. A robots.txt is a file at the root of your site that indicates those parts of your site you don’t want accessed by search engine crawlers. The file uses the Robots Exclusion Standard, which is a protocol with a small set of commands that can be used to indicate access to your site by section and by specific kinds of web crawlers (such as mobile crawlers vs desktop crawlers). It’s human nature to break things, misspell words/URLS or mistype it. When users try to reach your site or a certain page to your site but make a mistake typing the URL or may the page they looking for does not exist in your site any more then the search engine returns a 404 page. If a person lands on a 404 error page while trying to access a particular page on your website, it could result in him/her leaving the site. 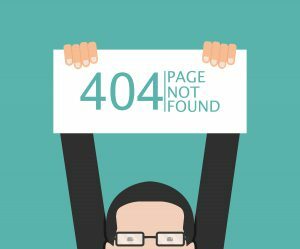 So according to SEO best practices, it is very important that you make the 404 Error page as useful as possible, so that it does not become a dead end, instead it will lead your audience to the page they are looking for. Things to make sure while creating a 404 Error page. Do not make the page boring or ugly, just because it’s an Error page. We need to get into our audience’s mindset while building anything, they were looking for something on your site and they ended up landing on the 404 Error page so it’s important be as helpful as possible. Have your keyword in the first 100 words of the article. Now that we have covered all the points to have a solid infrastructure for your site, the next steps would be Onsite SEO and Offsite SEO, both are important equally. To read about Onsite SEO follow this link & to read about Offsite SEO follow this link. Hey, I am glad that the post was helpful. Thank you. I am happy to know you found it useful. If you found it helpful for you may be your friends will too, please feel free to share the article in your social networks.